With SocialHumidor, the best mobile humidor app. SocialHumidor has more than 30'000 cigars you can add to your humidor. If you don't find the one you just bought let us know and we will add it right away! Save all the cigars you have and the ones you tasted, write notes about them and always remember the ones you liked! 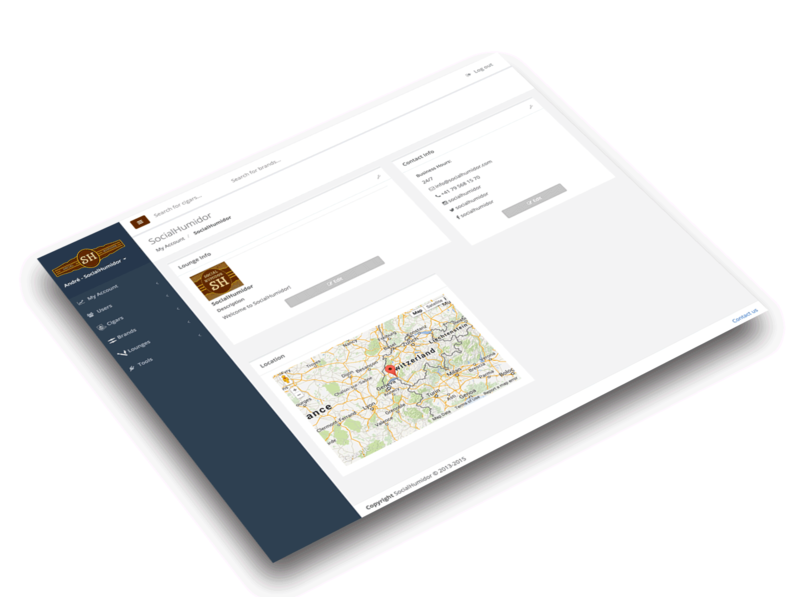 Browse the map to find the best cigar lounges around you, or where you are travelling. Share your humidor and your reviews with your friends. "Great way to keep track of my cigars, how long I've had them, how much I paid, and make notes too." 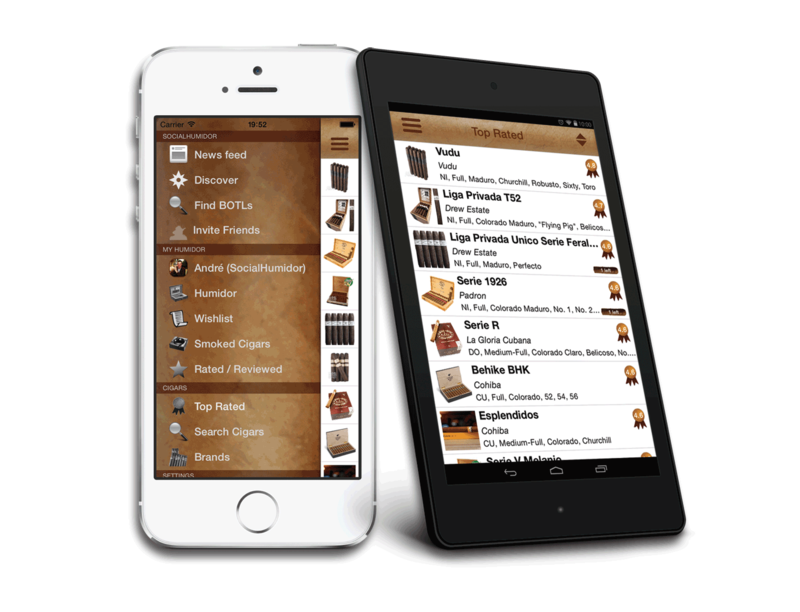 "The best app available to enjoy a cigar with friends and keep your humidor up to date. Andre is very friendly and answer every inquiry himself, he is dedicated to this app, also is getting better all the time in the amount of cigars in its database, it's amazing... Give it a try, it's free"
"Best app for the cigars world. You find all ratings, and can keep record of your humidor. Recommended." We usually don't send too much emails but please subscribe to stay up to date with our latest developments. Make sure cigar aficionados discover and get to know your business. Make sure cigar aficionados discover and get to know your business. Make sure everyone can discover your puros and all the details about the passion and energy you put in creating your cigars . Add your business on SocialHumidor to let everyone discover your lounge and engage with cigar aficionados to drive them in your lounge. We are committed to answer to every one of the requests. Don't hesitate to contact us for anything you have in mind.